You have one day left before Valentine's Day! I am here to help you out a little though. It will be our little secret! 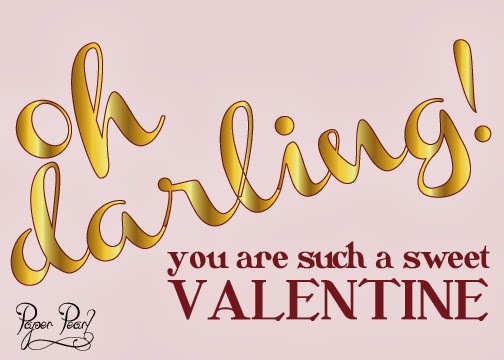 If you don't have time to go to the store or have multiple people who are special to you (friends, family, significant others) that you like to wish a little happy to, just download this card and make someone's day brighter. Just right click, save and print out! Anyone can be a darling, don't you think?